Brian Young is the President of “Del Shannon Appreciation Society”, devoting his activity to the memory of the American rock and roll singer. Brian Young agreed to offer an exclusive interview to OldiesMusicBlog.com, talking about the magnificent artist and his thrilling story. OldiesMusicBlog: Why did you decide to research Del Shannon’s life and career? Have you had the chance to meet him? Brian Young: I’ve always loved Del Shannon’s music since I was a child. “Runaway” and “Hats Off To Larry” were the first two songs that blew me away as I recall. Del’s falsetto and the Musitron organ had an eerie “other worldly” sound to them that just grabbed me. I did get to meet him a few times, yes. In Berlin, Germany, I had the opportunity to see Del perform, and again in Puyallup, Washington (where I reside now). I last saw Del in September 1989 performing at our State Fair. He was dead five months later. OMB: Are you the founder of Del Shannon Appreciation Society? No, the Society was formed decades ago, there was a U.K. branch run by Mike Wilson, and in the States Kelley Ryan used to run the Society. After Del died, the Society began to fizzle a bit as there were no more concerts to promote and such, and I took it over in 1994, a decision that Kelley and Del’s manager, Dan Bourgoise, thought would be a good idea, as I was (at that time) publishing a quarterly fanzine called “And The Music Plays On,” named after one of Del’s songs. It made sense to merge the clubs and have one stronger U.S. based club. 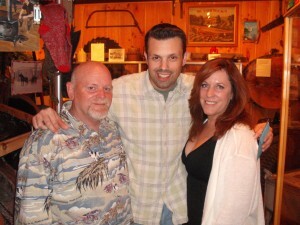 Dan and Kelley kept in contact with me, if there was a licensing agreement going through, or a new CD coming out, Dan would give me a “heads up” on that, so as to keep the fan club informed. OMB: How many members the Del Shannon fan club has? Almost 1,000 members globally. We had lost a few hundred in recent years from the passing of some members and/or other reasons maybe. But Del’s fans are pretty loyal souls! OMB: You wrote a full-length biography of Del Shannon that accompanies the 8-CD box set. Are you considering writing a second book? I am currently finishing up a biography on Del to be titled “Runaway: The Del Shannon Story” which should be published inside a year. OMB: Why did Charles Westover decide to take the name “Del Shannon”? What was his source of inspiration? The name “Charles Westover” didn’t have any ammunition. It lacked appeal, or so he was told. The name “Del Shannon” came from a 1960 Cadillac Coupe DeVille (contraction = “Del”) that his boss had bought, and “Shannon” came from a regular patron of the Hi-Lo Club in Battle Creek, Michigan where Westover played. The guy’s name was Bob White, and he wanted to become a professional wrestler, who was going to call himself “Mark Shannon.” Westover thought, “Hmmm, that’s a good name ‘Shannon.’ But ‘Mark’ sounds too much like a detective. So Westover took “Del” from the Coupe DeVille and “Shannon” from his wrestler friend. OMB: Please share a fact about Del Shannon that few people know. songs or a sound that began to sound old. OMB: What attracted you the most about Del Shannon’s story? Initially, it was his suicide. I was already a HUGE fan of his, but when he committed suicide, I think I wanted to know WHY? It bugged me that this happened, and I think that’s when I began talking with his family, friends, and music associates, because he had great songs, money, a new album coming out called “Rock On!”, and was working with Tom Petty at the time (whom I’m also a big fan of), Jeff Lynne, and was possibly slated at the time to replace Roy Orbison in The Traveling Wilburys. OMB: What was the biggest tribute offered to Del Shannon after his death? I can’t pin it on one tribute, I think it was a collective of three events actually. 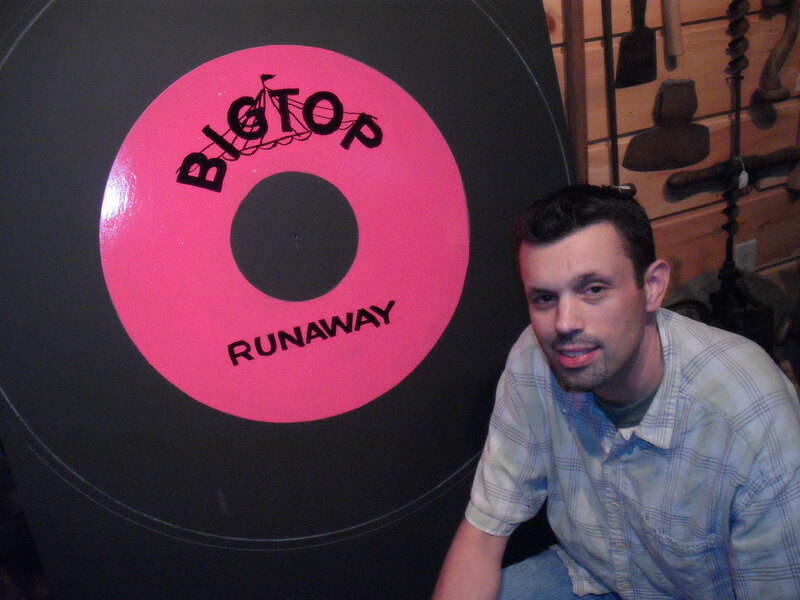 One: In September 1990 when the Del Shannon / “Runaway” Historical Marker was dedicated in Battle Creek, Michigan, on the site of the Hi-Lo Club, where Del had formulated his #1 song. Two: In August 1996, the dedication of the Charles Westover / Del Shannon Memorial Marker in his hometown of Coopersville. His whole family was there, his friends, music associates, and I remember that it helped to bring closure to his family. It was a way for his children to say goodbye to their father. It was so touching. And the fans had a chance to rightly say their goodbyes as well. Third: In March 1999, in New York City, when Del Shannon was inducted to the Rock’n Roll Hall of Fame. I was in attendance for that. 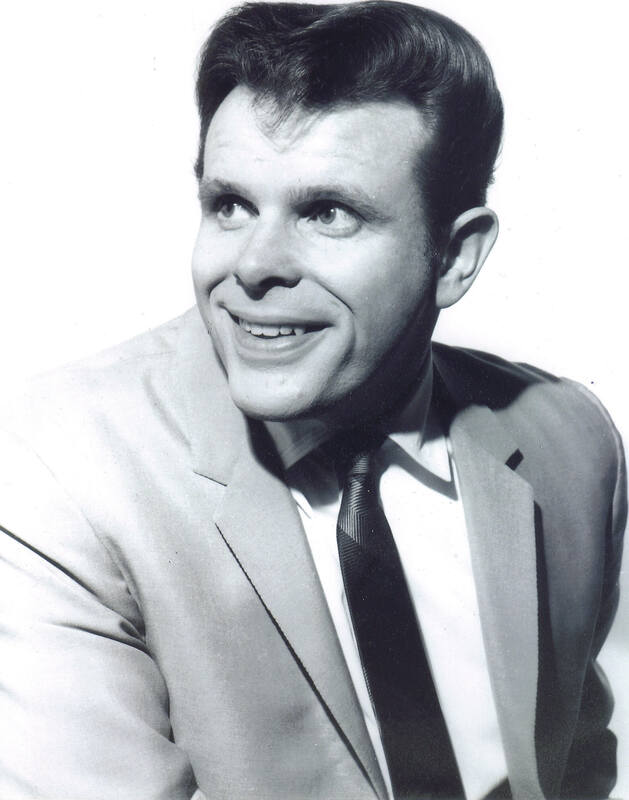 It was a fitting honor for “Del Shannon”, not Charles Westover, but for “Del Shannon” to finally get his place in the Hall of Fame, something that was long overdue and should have happened while he was still alive. I always felt that “Charles Westover” the man got his honor in ’96 in Coopersville, but “Del Shannon” the singer/songwriter got his honor in New York City and Battle Creek. OMB: Did his children follow the music path? OMB: What is your favourite Del Shannon song? Please also share your top three songs. As far as Top Three songs by Del? I’d have to say #1 Runaway, #2 “Cheap Love”, a song not known to too many outside of Del’s fan base, but I love the guitar hook it has in there, and has a good organ solo as well. Juice Newton covered “Cheap Love” in 1986 and had a Top Ten country hit with it. I think she further enhanced the song by giving it a “Queen of Hearts” feel to it. #3 “Stranger In Town”. I just love the production work on “Stranger In Town”: The paranoid lyrics, the two-by-four wood blocks being slammed together and tons of echo added to it. It’s a bit different from “Runaway” but to me should have been another #1 record. I have a lot of favorites, I think most of my favorites are the uptempo records as opposed to the ballads. OMB: Del Shannon was the first artist to cover Beatles’ “From Me To You” in the US. What is the story of this cover? Del was touring England in April of 1963, and he was headlining a show at the Royal Albert Hall in London. The Beatles were second to the bill. They did a radio show “Swinging Sound ’63” and a concert on April 18, 1963. This is when Del first met The Beatles, who were already all the rave in England at the time, but still unknown in the U.S. The Beatles sang their latest single, “From Me To You,” which had an A minor chord in the middle. That caught Del’s ear (having used it in Runaway). Del spoke to John Lennon as he was about to go on stage, that he liked their song and wanted to record it. This happened to be the same night that Paul McCartney met Jane Asher, sister to Peter Asher of “Peter & Gordon”. Del swiftly recorded “From Me To You” while still in London on May 1, 1963, at I.B.C. Studios. Johnny Tillotson and Dusty Springfield accompanied him at the session. When Shannon returned from his British tour, he released it as his next single, where it went to #77. I have a letter from George Harrison’s sister, where she was writing in to a radio station, and asking the deejay to play The Beatles’ version of the song. The deejay had replied to George’s sister that unfortunately they would keep playing Del’s version because it had already established itself in the charts and they didn’t want to go with split airplay and promote another version at the same time. Of course, by February 1964 that would all change with the Beatles Invasion. I saw Del Shannon play outside at the IN State Fair. I think the year was 1964. Can it be confirmed that was the year and date please that he performed at the fair? September 3, 1964 is what I think it was when I saw him. It really quite an interesting story about seeing him play live that day. also i don’t know if many people know that charles wrote runaway under a freeway onramp offramp in the rain in 20 minutes.